Since 1987, Metro Express Service has committed itself to the community. We aim to provide the very best air conditioning and heating repair in Carrollton, TX. You deserve the best possible service. You deserve a company that has your best interests in mind. We feel that Metro Express Service is that company. You can schedule HVAC service day or night and a friendly technician will be there! You likely need to schedule HVAC repairs if your system is relatively new, working efficiently most of the time, and not costing you too much to operate. But you may need HVAC replacement if your system is older than 10 years, costly to operate each month, and lacking in efficiency. Our technicians are fully insured and licensed. We provide a 1-year warranty on all HVAC repairs. You’ll enjoy 24-hour emergency service. We offer a free service call with scheduled repairs. Disaster can strike at any moment. When you’re unprepared for a heating or cooling emergency, Metro Express Service is ready. Our technicians are here day and night to ensure our community has access to the best service possible. Give us a call at any hour, any day of the week! Carrollton, despite being named the twenty-third most populous city in Texas, still has that same small town feel and culture. We adore the city and love the residents we get to meet each day. To this day, Metro Express Service is proud to work inside of Carrollton! For 24-hour HVAC repair in Carrollton, TX, pick up the phone and call Metro Express Service. You can reach us any hour at 817-516-0700! Tech was on time and performed thorough maintenance check up. 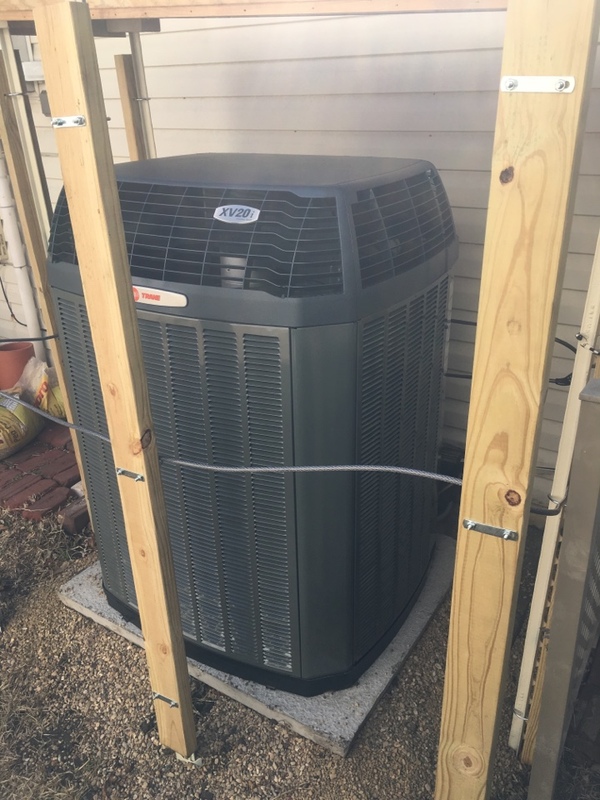 Install of two new Trane complete systems. My purchase of two new complete Trane systems went well. Adam came out first to repair one of my old systems. I found him good to work so started the conversations about new systems. He followed thru on everything he said, and the price was fair. Adam also came out after the install to be sure everything was working. My systems can be controlled remotely via the internet. I wasn't sure about the set up, so Adam sent Sean to help with technical questions. Sean had answers to all my questions and got apps loaded on my phone. Like Adam, Sean was pleasant to work with. My experience has been good, and MES has followed thru on everthing. Sean was Amazing!! He answered all my ? 's and was very patient and informative!!!!! Very very good dude!! The technician was great he was very knowledgeable about my system. I would like for MES to send him back when I call for service. The technician Sean did a great job not only explain the service need it but also give us the information on the future maintenance to save money and keep the AC working at its best. He shows a great Customer service skills "Awsome technician"
Adam was very informative and thorough. On time. Quick. Polite. Competent. Service contract for air conditioner. Check wiring. Check filter. Clear drain lines. Wash condensing unit. Service air conditioners. Change filters. Wash condensing coils. Check air flow. Check refrigerant. Service air conditioners. Check wiring. Check capacitors. Check filters. Informed homeowner of squirrels in attic. Service AC. Change filter, clean coils, bleach drain. Check air conditioner. Check drain lines. Wash coils. Quality check on new air conditioners. WiFi thermostat setup and education. Check air conditioner. Replace blown fuse. Install thermostat. Air conditioning service cleaning. Replace filter and wash coils. Reviewing Duct Clean, Duct Seal, and Trane XV20i 3 ton communicating up flow complete heat pump system with Nexia 1050 controls.